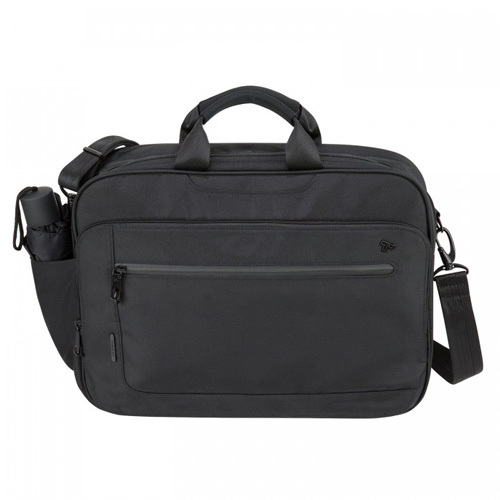 The Travelon Anti-Theft Urban Messenger Briefcase is an exceptional commuter and travel bag that features a roomy main compartment with padded and fleece lined sleeve holds laptops upto 15.6". The easy access, locking front zippered organizer has a padded sleeve for an iPad or tablet, RFID blocking card slots and more. The exterior showcases a front drop pocket for smart phones, two rear pockets, water bottle expansion pocket, add-a-bag feature to slide over wheeled luggage handle, comfortable Neoprene grab handle padded wrap and a smooth glide, adjustable padded shoulder strap. The Travelon Anti-Theft Urban Messenger Briefcase-Black has many exciting features for users of all types. You can extend the lifetime of your Travelon Anti-Theft Urban Messenger Briefcase-Black with the purchase of a FactoryOutletStore Factory Protection Plan. See the Travelon Anti-Theft Urban Messenger Briefcase-Black product video and gallery images above for more details. 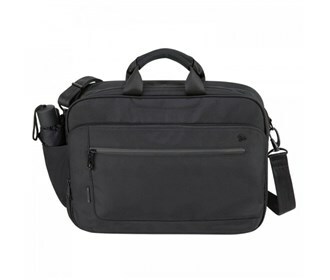 The Travelon Anti-Theft Urban Messenger Briefcase-Black is sold as a Brand New Unopened Item.